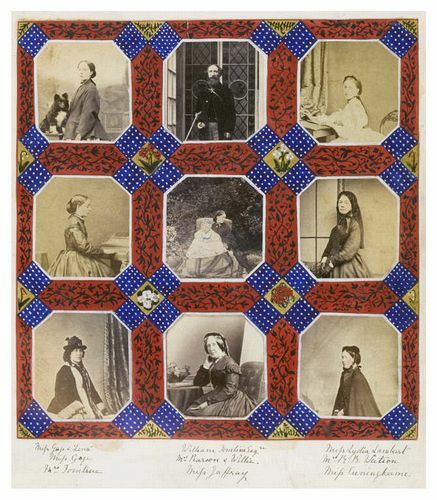 Nine photographs of Murray family members have been laid out in the pattern of Victorian floor tiles. The borders around them have been decorated like illuminated manuscripts and depict flowers. The photographs are of eight women and one man and also include a dog and a baby. They are all wearing Victorian daywear. William Tomline is carrying a gun and standing in front of stained glass windows.